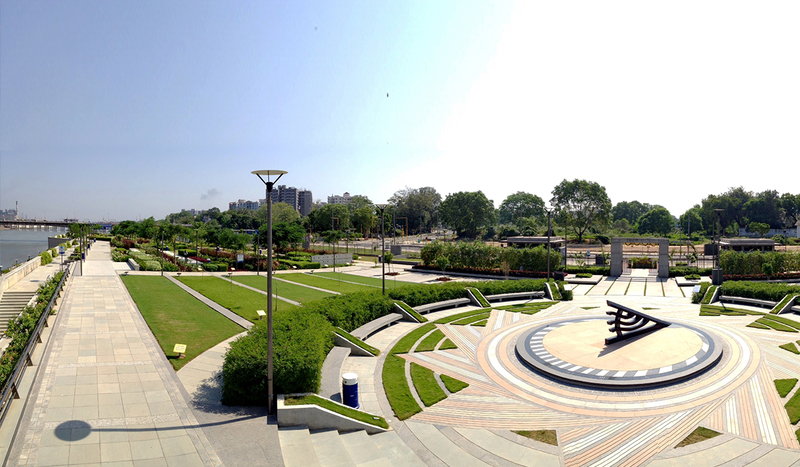 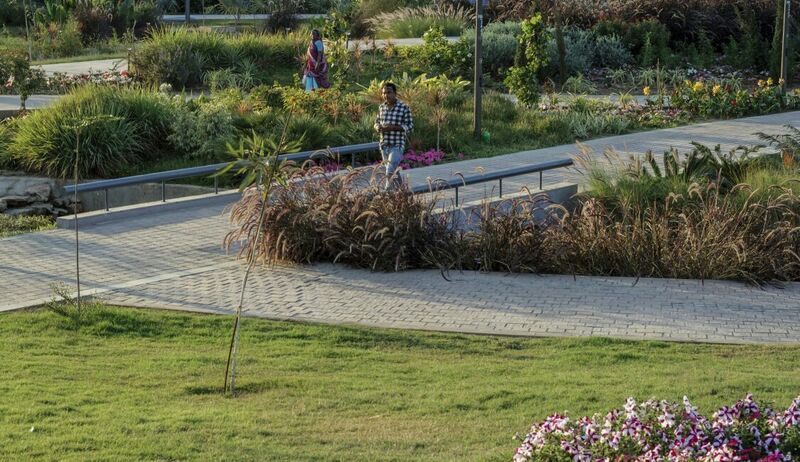 PRIZE WINNING ENTRY FOR "HUDCO AWARDS 2014"
NOMINATION FOR "NDTV AWARDS 2014"
The Riverfront Park (1.2 Km long and width ranging from 30-60 mts) is located along Sabarmati River in Ahmedabad, India. 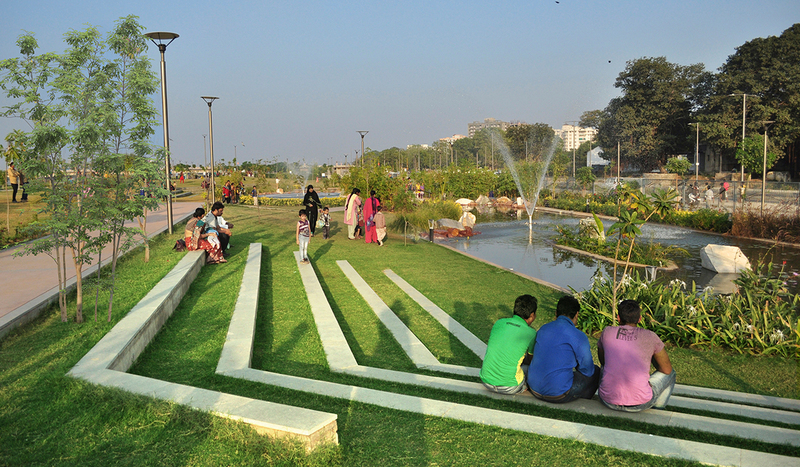 The levels of the park are modulated so as to provide uninterrupted views of the river. 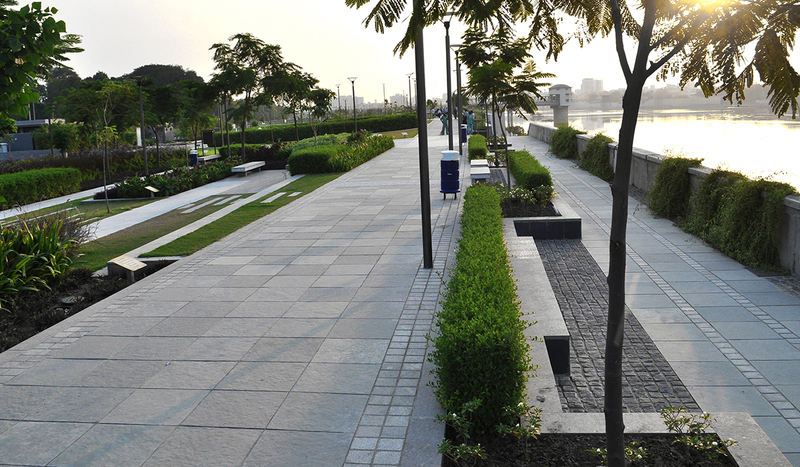 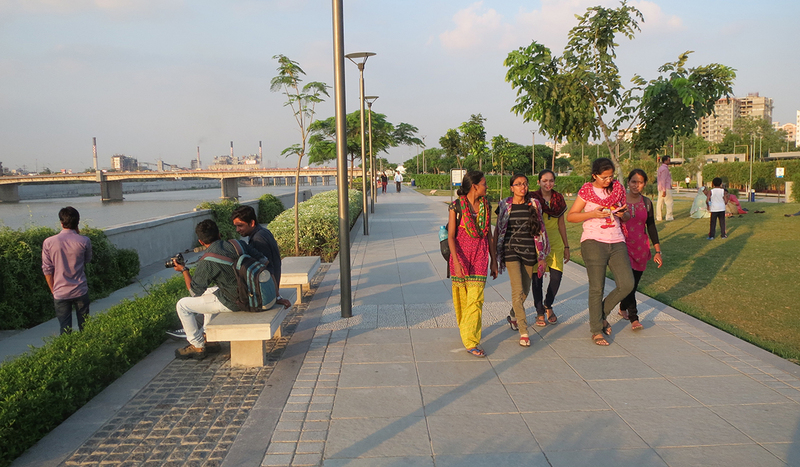 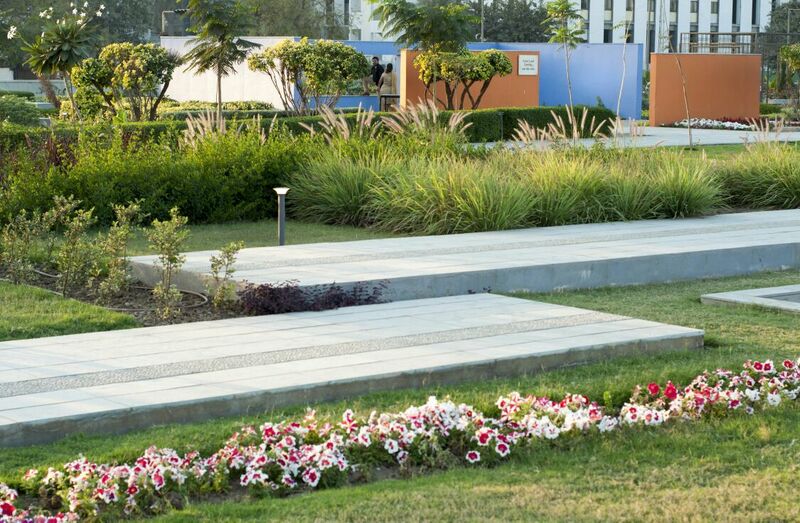 A continuous Riverside Promenade was designed and its levels carefully planned, keeping the view aspects in mind. 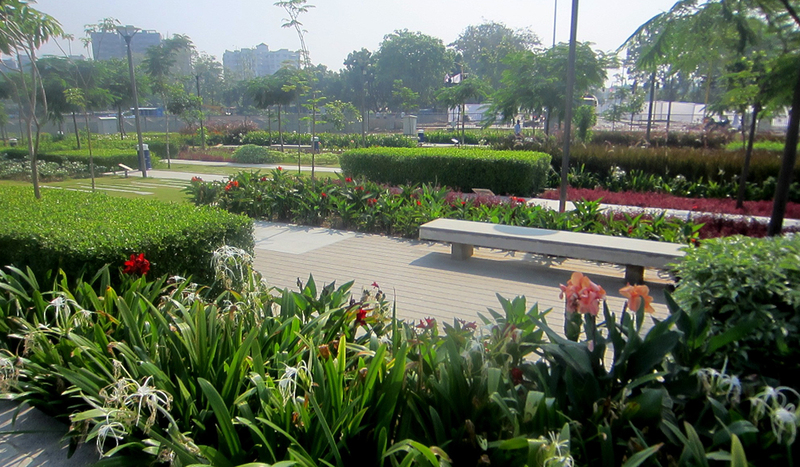 Large wide mounds are also provided to afford panoramic views. 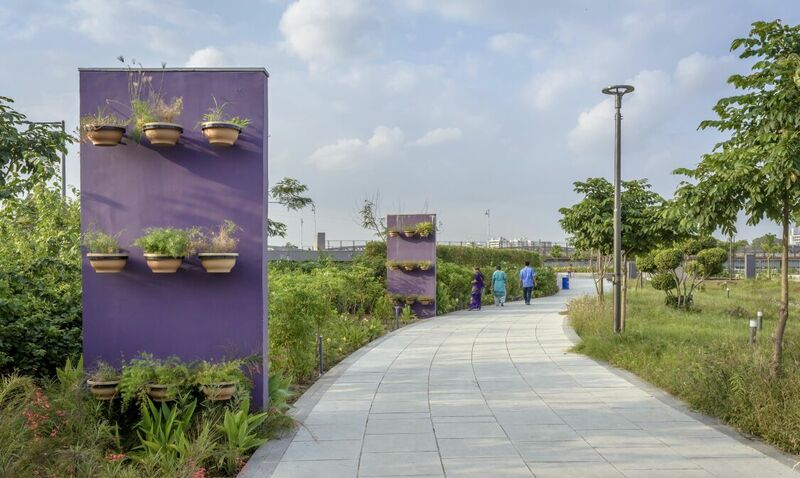 The Spatial organization of the park allows a number of linearly placed themed areas within it, catering to different preferences, activity levels & age groups. 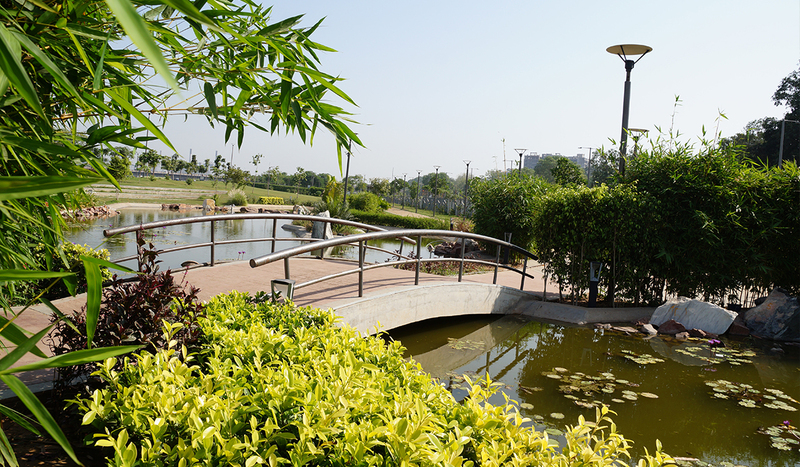 These include a Lotus pond, Children's play areas, Amphitheaters and various small pocket parks. 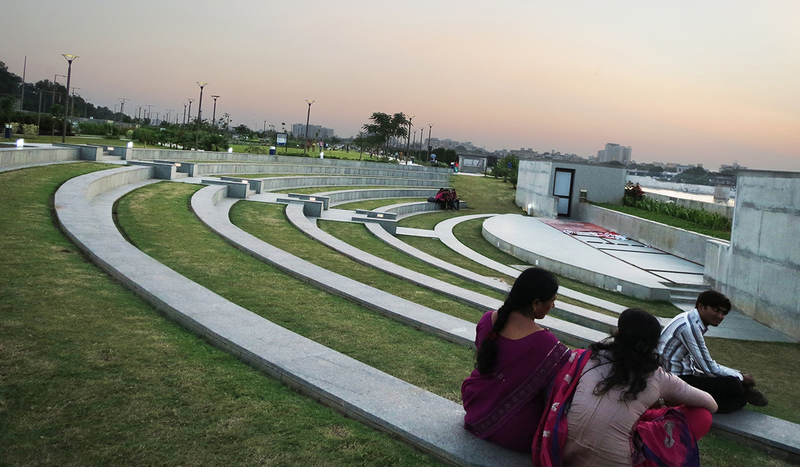 The design also aimed at acknowledging this strong context of the Gandhi Ashram (located at the opposite bank) for the visitors to the park. 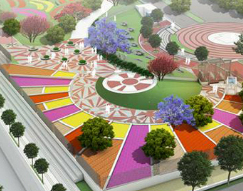 An elaborate food court was designed next to the park with a shopping street. 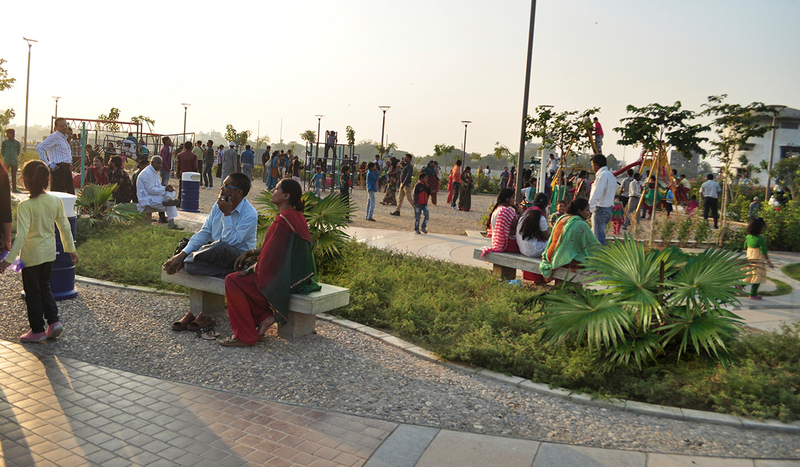 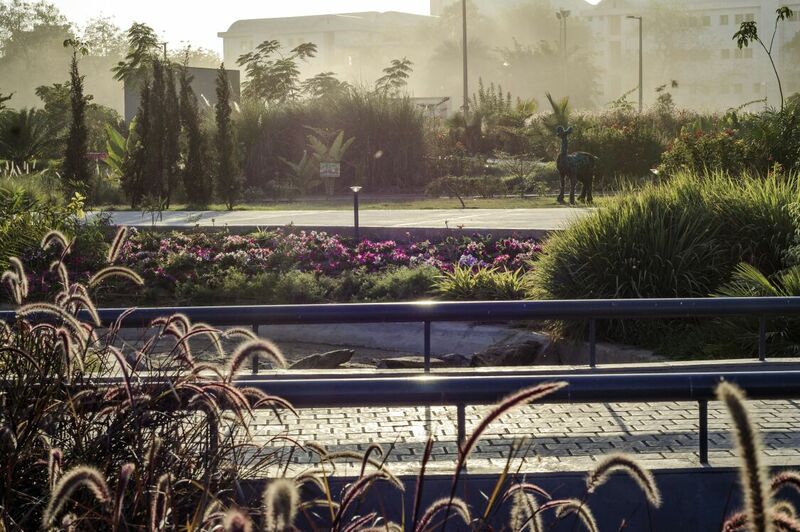 The space was created to make the park more vibrant and bring commercial value into it.